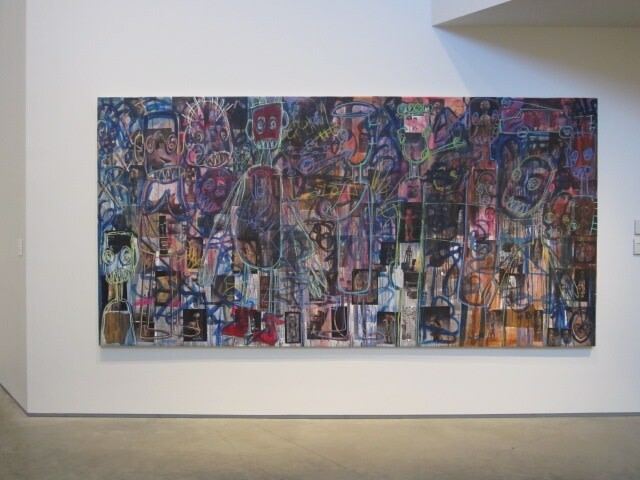 Group exhibition entitled 'In All Cases: A Collection Selection', including work by Aboudia, May 18 - September 8 2013. 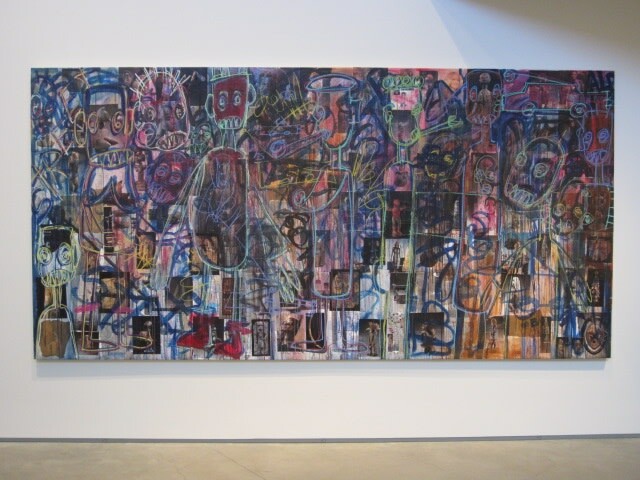 This exhibition samples the Nevada Museum of Art’s diverse and growing contemporary art collection alongside a selection of artworks on loan from private collectors. The Museum recognizes Contemporary Art as a crucial area of investment, and curators seek out works for the permanent collection that reflect the institution’s ongoing commitment to artists’ creative interactions with natural, built, and virtual environments. Recent additions to the collection include Anne Lindberg’s ethereal graphite and colored pencil piece Motion Drawing 25, Helen and Newton Harrison’s monumental mixed media drawing, 8 Yuba Mappings: A Disagreement in All Cases, as well as a studio-made photographic book by San Francisco-based artist and pilot Michael Light, who also photographed Roden Crater/Meteor Crater 07.07.11 and James Turrell’s Roden Crater Earth Work. 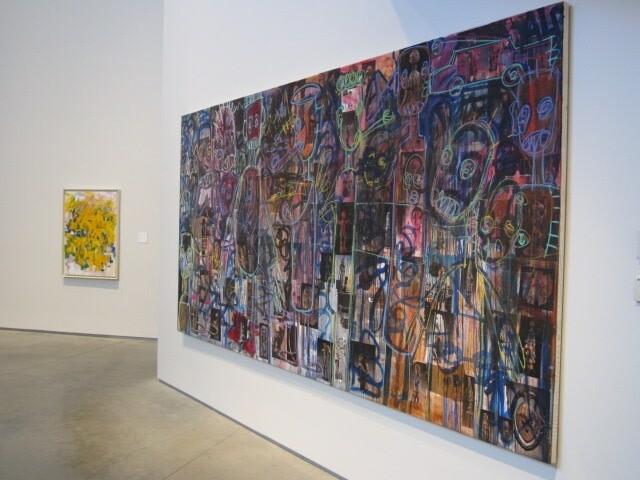 These artworks from the Museum’s collection are complemented by a concise selection of paintings by artists such as Richard Diebenkorn, Joan Mitchell, Aboudia Abdoulaye Diarrassouba, and Takashi Murakami, on loan from leading West Coast art collectors.